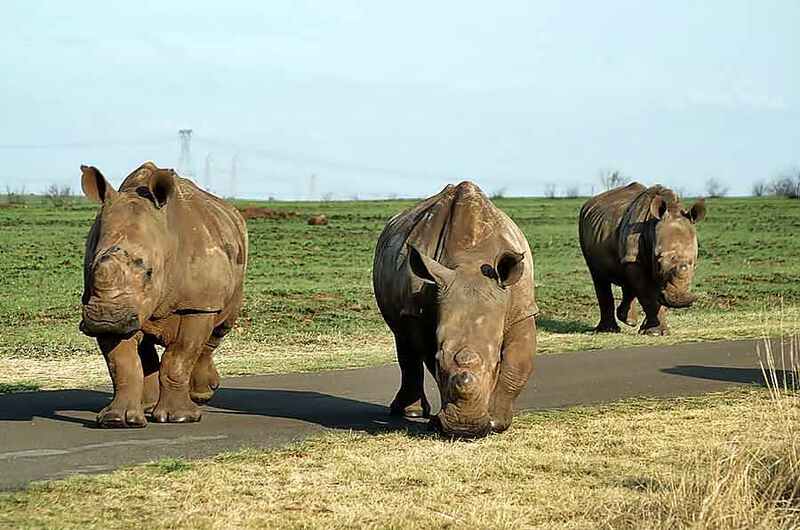 A trio of Rhino, approaching the car I was travelling, normally a terrifying experience, but the Rhino at Rietvlei are gentle giants. They passed with car without incident, though I did move . There were in fact 6 of them.